People are messy. Anyone involved in ministry can testify to that. But people are what ministry is all about. Serving people. Teaching people. Caring for people as Jesus did. Easy to say, difficult to do. 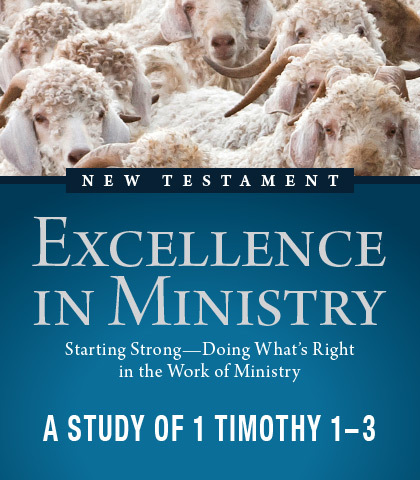 Chuck Swindoll’s series, Excellence in Ministry: Starting Strong—Doing What’s Right in the Work of Ministry, however, is the perfect guide to help you do the difficult task of ministry. In this series Chuck provides answers and instruction on the pastor’s duties, the priority of prayer, the role of women, and how to find qualified leaders.